Summer is the perfect time to take a road trip — and now your journey can be driven by science. On Aug. 21, 2017, a solar eclipse will be visible in a belt of states across the country. In the "path of totality," travelers and residents can experience the complete darkness that occurs when the moon completely covers the sun. Only viewers in the path of totality will be able to see the full eclipse, so location is crucial. Communities across the country have plans to host events to attract out-of-towners looking to view the first total solar eclipse in the continental U.S. since 1979. From minor league baseball teams to astronomy enthusiasts, many have plans to pause to appreciate the rare sight. On Aug. 21, 2017, the moon's shadow will darken a path 35 to 71 miles wide from Oregon to South Carolina, blocking out the light from the sun. Storm Team4 Meteorologist Chuck Bell is at NASA Goddard to share how you can get ready for the once-in-a-century eclipse. Salem, Oregon. The capital of Oregon is among the first U.S. cities that will experience the eclipse. The Salem-Keizer Volcanoes, a minor league baseball team, will host an Eclipse BrewFest over the weekend and play a game on the day of the eclipse. 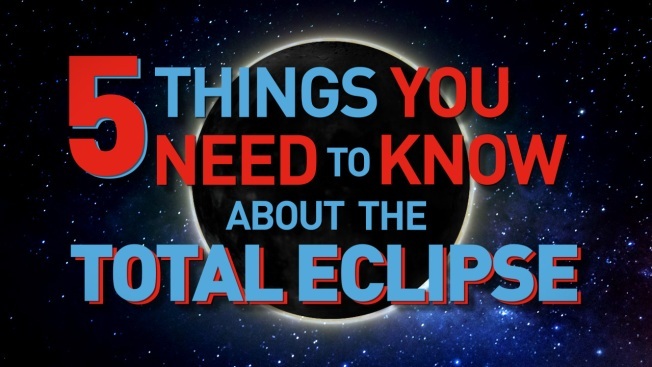 Enjoy the eclipse with family at Camp Taloali, just 15 minutes away from the capital city. The camp offers cabins and space for tents and recreational vehicles, along with activities such as rock climbing and biking trails. The Great Solar Eclipse Campout at Powerland Heritage Park will focus on education, with activities available at museums to learn more about the eclipse. Space for recreational vehicles and tents will be available. Jackson, Wyoming. Jackson Hole, a popular vacation spot for skiing and located at the base of Grand Teton National Park, is a summertime destination for its location in the path of totality. Snow King Mountain Resort will offer passes to watch the eclipse on its scenic lift that will include access to a bungee trampoline and miniature golf. Gros Ventre Campground Amphitheater, in the Grand Teton National Park, will treat visitors to presentations from astronomers and park rangers and provide telescopes. Four Seasons Jackson Hole will give attendees the opportunity to view the eclipse from telescopes and hear from astrophysicist Ryan Hennessey. St. Louis, Missouri. While St. Louis may be slightly off the main path of totality, a short drive from the city provides several locations to view the eclipse. "View It Live Just Off I-55," an official NASA eclipse viewing site at the Herculaneum High School in Herculaneum, Mo., will have food vendors and other activities for viewers. The Totality Solar Eclipse Viewing Festival at the Chesterfield Amphitheater, just over 20 minutes outside of the heart of St. Louis, will feature a Journey tribute band, food trucks, vendors and educational sessions. Nashville, Tennessee. Known for its music scene, Nashville is the largest city in the eclipse path of totality. 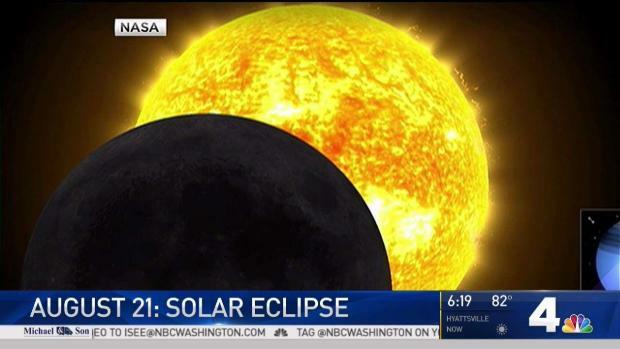 The Nashville Sounds, the city's minor league baseball team, along with Nashville Mayor Megan Barry and other city agencies announced an eclipse viewing party for the city. The event will include music from the Nashville Symphony, scientific demonstrations and a Sounds baseball game. The Adventure Science Center will host an official NASA viewing site event, packed with activities, live music and food vendors. Columbia, South Carolina. The South Carolina state capital lies in the path of totality. The South Carolina State Museum will host an eclipse event with an appearance by Apollo 16 astronaut Gen. Charles Duke, and access to a Planetarium Eclipse Show, "Shadows From Space." The Riverbanks Zoo and Garden in Columbia is encouraging guests to observe animal behavior during the solar event. Charleston, South Carolina. As the only state on the Eastern seaboard in the path of totality, South Carolina is set to be host to a large number of visitors. Charleston will commemorate the eclipse with a number of events. The Charleston RiverDogs, a minor league baseball team, will allow early entry into the team’s game to view the 2:48 p.m. eclipse ahead of the 4:05 game. At the Citadel Mall, an eclipse event will feature kids' activities, food trucks and entertainment, with proceeds benefitting Darkness to Light, a non-profit aimed at preventing child abuse. Astronomers at the College of Charleston Observatory will host a viewing event free to the public.